When you want to show others the steps to do something, what will you use except numbers? Actually, you can do much better by making most of infographics. And you can do it much faster with templates offered by Edraw. Check it out below. 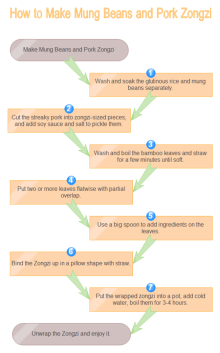 Flowchart is perfect for showing steps to do things in sequence visually. 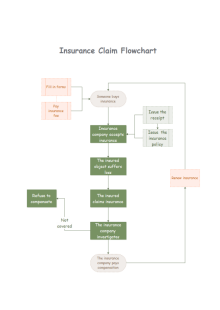 Presentation in flowcharts eases understanding and memorization. See some examples blow. 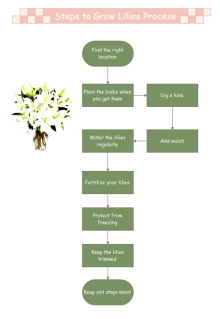 The above beautiful flowcharts are made by Edraw within 10 minutes. 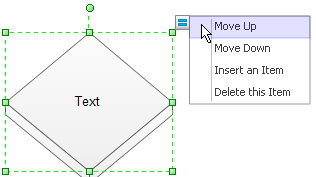 Its auto generation function makes it extremely easy to draw flowcharts, even for beginners. See a brief introduction of Edraw flowchart software below. Edraw has taken the lead in flowchart drawings software. In terms of features and flowchart tools, there is very little that Edraw does not offer. It includes the smart drawing guide, automatic layout, smart connector, rich text editor, spell checker and more. 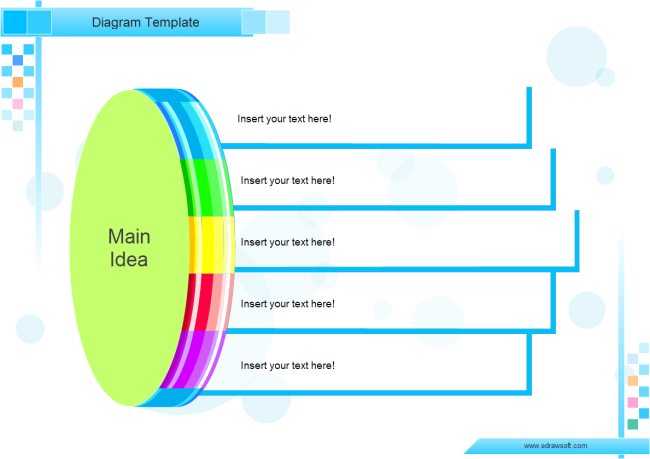 This template is put in Basic Diagram group. Do the followings to open it. 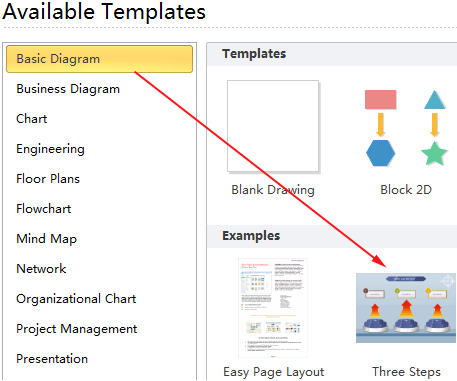 *After your start Edraw, find Basic Diagram in the Available Templates list. *Double click the Three Steps template icon in Examples group. This template is elaborately prepared, with title, subtitle and step shapes. All shapes are perfectly aligned and attached with text boxes. Step shapes are located in sequence with numbers in the shapes. These are smart shapes whose number location can be changed by clicking the floating button. 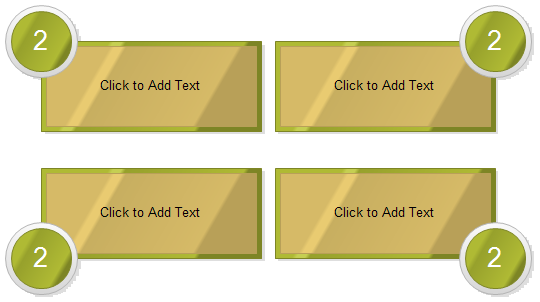 You can add description in the rectangle boxes, columns as well as arrows. Double click the text box and start typing. This template is also put in Basic Diagram group. All shapes in it are located symmetrically, looking like a beautiful fan. 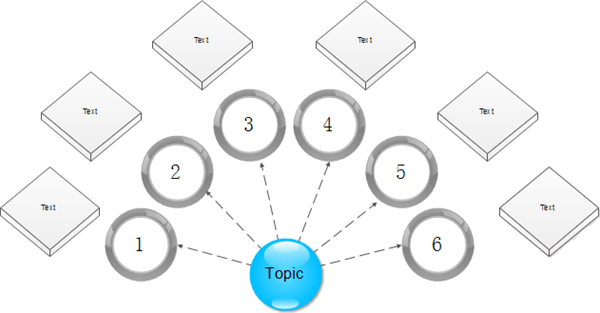 Put your topic in the central highlight circle. List steps one by one in the 3D diamond shapes. If you incautiously make some mistakes in sequence, don't worry. These intelligent shapes are always "thoughtful". Click the floating action button to move the diamond. It is in Business Diagram category. The diagram has already been zoomed out. If you need to adjust scaling, use the zoom bar at the bottom right corner. 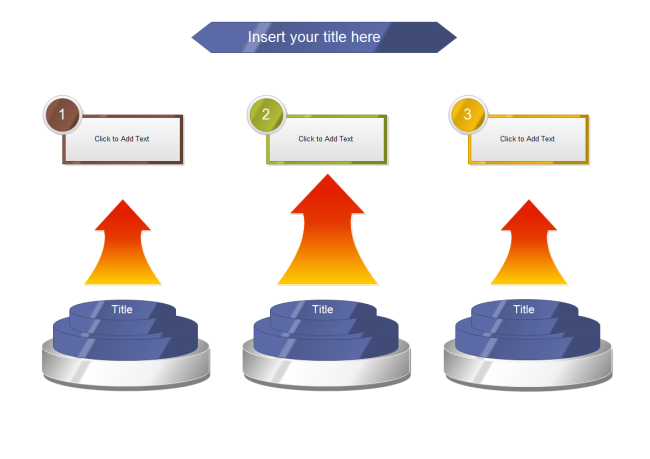 Check article Diversify Presentation of Process Steps for more sophisticated steps templates.